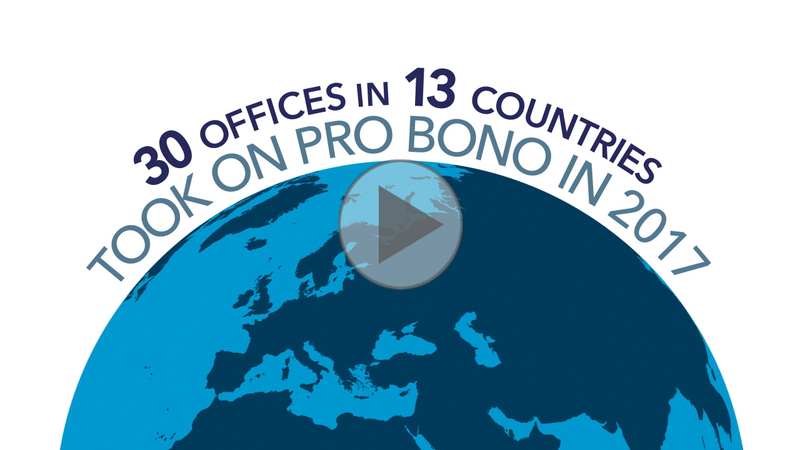 Annual publication spotlights the firm’s global pro bono and community service efforts. Latham & Watkins is pleased to announce the publication of its 2017 Pro Bono Annual Review. As one of the largest providers of free legal services in the world, our firm takes on matters in nearly every area of public interest law, from civil and human rights to veterans matters to microfinance. We also counsel an array of nonprofits and NGOs, enabling them to undertake world-changing missions. This year our lawyers and professional staff opened more than 1,000 pro bono matters, donating some 236,000 hours of free legal services to low-income individuals and families, underserved communities, nonprofit organizations, low-income entrepreneurs, and social enterprises. Watch a short video to learn more about our efforts.